‘Let’s Talk about Bullying’— was the title of a seminar held recently. Bullying is a major problem for people with disabilities. Over the years Frontline has featured several articles on the subject of bullying. Approximately 30 people went to the seminar. Tackling bullying must be done in five ways: listen, respect, understand, challenge, and celebrate difference. Shelagh and Tara Leech, with Tara’s sister Lisa, gave a story of the anger they have experienced over several years, following cyber-bullying of Tara by a long-time ‘friend’. People with intellectual disability may be bullied within services as well as in the wider community. ‘Let’s Talk about Bullying’— was the title of a seminar held by the National Anti-Bullying Research and Resource Centre (ABC) at Dublin City University on 3 December 2015—International Day of People with Disabilities. Bullying, whether in schools or communities, at work or in the social media, is a concern for families, therapists and researchers, and especially for those who live with, or work with, intellectual disabilities. Over the years Frontline has featured several articles on the subject of bullying. (See particularly Issue 70, pp.6-9 (Summer 2007), which featured the Stop Bullying report of self-advocates and supporters in the NIID, Trinity College Dublin.) The recent ABC Seminar provided an update on current Irish experience and research on methods of counteracting bullying toward people with disabilities. Approximately thirty people attended the seminar, which was opened by Dr James O’Higgins, Director of the ABC. Facilitator Fiona Weldon and self-advocate Marie Wolfe set the scene and introduced the seminar speakers. The first invited speaker was Martha Evans, Senior Programme Lead of the Anti-Bullying Alliance (London). ABA is a membership organisation with a growing network of schools and colleges in England. They have become a national voice for evidence-based practice in the prevention of bullying among children and young people. Martha discussed the longterm effects of bullying, which she defined as ‘the repetitive, intentional hurting of one person or a group by another person or group, where the relationship involved an imbalance of power.’ She described some of the ABA’s training methods, concluding that tackling bullying must be underpinned by five principles: listen, respect, understand, challenge, and celebrate difference. 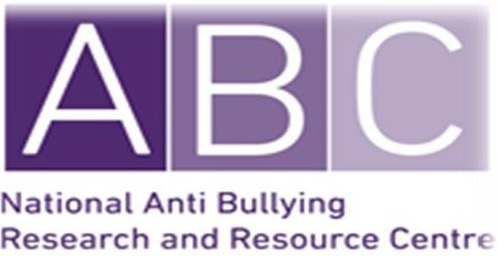 The ABA organisation (website: www.anti-bullyingalliance.org.uk) coordinates a national Anti-Bullying Week in England each November. Siobhán O’Doherty, from the National Anti-Bullying Advocacy Group, NIID, Trinity College Dublin, reported on their recent Anti-Bullying Research Project funded by the NDA, which involved 26 people. The project participants undertook a literature review, focus groups and interviews, and produced an anti-bullying guide. Later during the seminar, Fiona Weldon showed a short video made by some of the self-advocate participants in the Anti-Bullying Project. Representatives Conn Ó Rathaille and Paul Alford attended and assisted at the Seminar. Shelagh and Tara Leech, with Tara’s sister Lisa, gave a searing account of the trauma and anger they have experienced over several years, following cyber-bullying of Tara by a long-time ‘friend’. They emphasised the need for families and services to listen far more closely, and sooner, to any indications of bullying, either in person or in social media. (See also Frontline Issue 96 (Autumn 2014), pp. 24-25). People with intellectual disability may be bullied within services as well as in the wider community. Dr Bob McCormack gave a thought-provoking account of examples of bullying experienced by people who lead restricted lives in day or residential services: where there may be bullying behaviour among residents, where the right to refuse can be seen as ‘challenging behaviour’, where any discussion may be seen as ‘answering back’, where choices are unreasonably restricted, etc. etc. Violence within service settings is too often tolerated/accepted—as sadly shown in the Áras Attracta film. The absence of a rights culture permits, instead, a benign dictatorship under the euphemistic banner of ‘duty of care’. Bob suggested that if people working in disability services were not termed as ‘staff’, but as ‘support workers’, they might curtail their power-roles. Eliminating bullying within disability services depends on four things: rights, choices, empowerment and respect. Jennifer Schweppe and Amanda Hayes (from the University of Limerick School of Law, Hate and Hostility Research Group) spoke of the need to develop policy and legislation to recognise and deal with hate crime in Ireland. Currently the added injury of hate crime (an attack based on bias or prejudice) is not recognised in Irish law, and it cannot be acknowledged by the Gardaí or considered in court judgments. This seriously limits the right of redress for people who are targeted because of their disability, ethnicity or religion. Jim Winters of Inclusion Ireland concluded the Seminar proceedings with a discussion of the conditions which contribute to disabilist bullying and hate incidents. Inclusion Ireland staff receive very frequent reports of such incidents. He referred to the disturbing NDA survey of 2011, which showed a hardening of public attitudes toward people with disabilities. He listed the causes of violence against children with disabilities: societal prejudice or fear of difference, lack of knowledge or understanding of disability, isolation or segregation of people with disabilities, lack of support for families, and untrained or overextended staff in disability services. He called for accessible information about hate incidents for people with disabilities and for better coordination between the HSE, service providers, gardaí and victim support services. Education and public awareness of the rights of disabled people need to be improved, and further supports provided for self-advocates. Inclusion Ireland has a self-advocacy resource unit. (Contact Inclusion Ireland: www.inclusionireland.ie; tel: 01-8559891). In highlighting the issue of disabilist bullying, the ABC Seminar provided much food for thought –on the International Day of People with Disabilities. The Anti-Bullying Centre offers training workshops to help with the issue of bullying, for people with intellectual disability and for persons who support them. Anyone wishing further information contact fiona.weldon@dcu.ie .